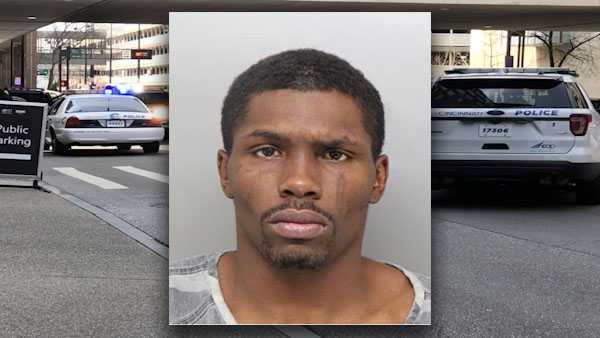 A man is in the Hamilton County Jail accused of punching random people in the face and head downtown. Cincinnati police believe that man was having a violent mental health episode. Investigators said four people were punched along West Sixth Street. It all came unexpectedly, but luckily the victims all walked away. "You never know what's going on around this world. It's pretty crazy out here," witness Robert Ingram-Price said. Ingram-Price spotted a wild scene in Cincinnati's Central Business District on Wednesday afternoon. "He was actually going across the street. Whatever person he (saw), he just ran up and hit them," Ingram-Price said. Cincinnati police believe Ledavid Beasley was having a violent mental health episode, leading to four people, including Edward Coldwell, being punched at random. "I was talking to a Cintas worker, and he hit the Cintas worker, hit me, come running down the street swinging on other people, like, two, three, four people, right now, got hit," Coldwell said.